Omer Khayyam was a philosopher, poet, mathematician, and astronomer who lived in the Middle East in the 11th century. He produced unique ideas to understand the universe and also wrote rubāī (quatrain poetry) to enrich them. 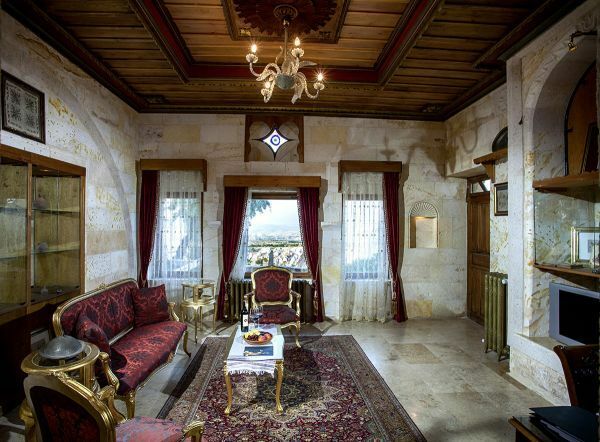 The room has been decorated with Khayyam’s pictures and books. 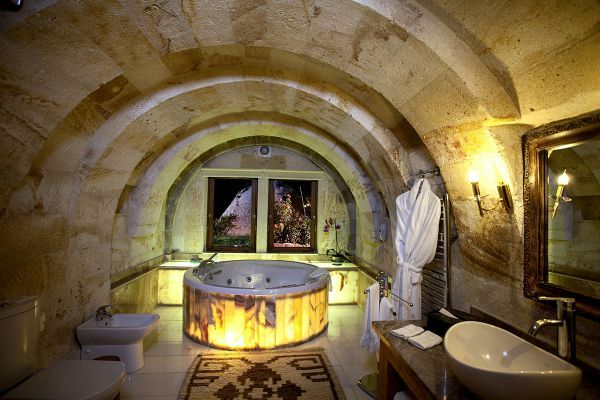 The bathroom features a rare stone arch design and has a direct view of the fairy chimney right in front of it. 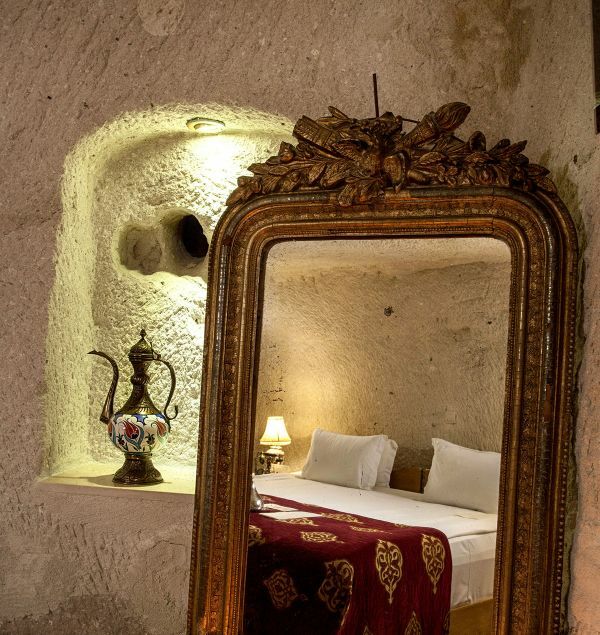 The bedroom is a cave and connects to the living room via a tunnel, which has an interesting detail—Khayyam’s Love Fountain, which is completely original. 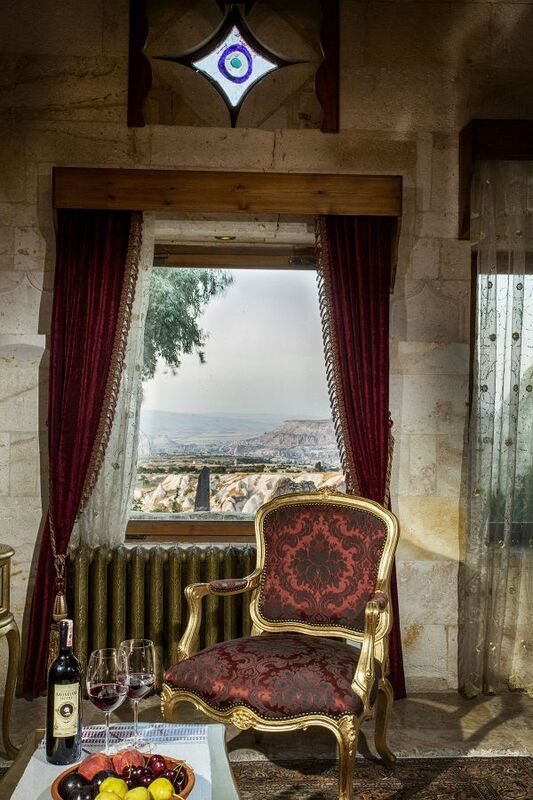 A splendid view of Cappadocia tempts you in the bathroom, the living room, and the private garden.